[Answered] What are the Benefits of a 3D/4D Ultrasound? Home / Medical / What are the Benefits of a 3D/4D Ultrasound? You might have heard of medical professionals using ultrasounds. You may not be familiar with 3D or 4D technology with ultrasounds. Perhaps you’ve even had one of these ultrasounds done yourself. According to an article by 1st Glimpse Inc. (Benefits of 3D/4D Ultrasound in Brooklyn New York), few people actually know the advantages of using a 3D or 4D ultrasound instead of a standard one. Ultrasounds are a common tool used by medical professionals. They allow medical professionals to view patients internally and non-invasively. Let’s see what exactly 3D and 4D ultrasounds are. Then, we’ll explore the benefits of using them. What is a 3D or 4D ultrasound? You have likely heard of a regular ultrasound. This allows doctors and other medical professionals to capture images of a patient’s internal body parts. The standard ultrasound provides a 2D image. Now, 3D and 4D ultrasounds are becoming more popular. These types of ultrasounds provide doctors with a clearer, more accurate image. This allows doctors to properly diagnose and treat conditions. According to WebMD, ultrasounds work because of sound waves. When an ultrasound is done, the images are visible on a screen. What are 3D and 4D ultrasounds used for? Ultrasounds can be used for a number of different health concerns. One of the most common uses is during pregnancy. You have likely heard of ultrasound imaging or sonography being used to monitor a fetus’ growth while in the womb. This is also useful for evaluating a fetus’ health conditions and discovering abnormalities. Beyond that, ultrasounds can be used to diagnose health conditions. With ultrasound imaging, doctors can examine the heart, kidneys, bladder, and more. This imaging gives doctors a better understanding of what’s going on in someone’s body. 3D and 4D ultrasounds take this idea a step further. They provide images from unique angles that normally could not be achieved. This is beneficial especially for diagnosing and treating patients’ health concerns. What are the benefits of 3D and 4D ultrasounds? You might have heard of medical professionals using ultrasounds. You may not be familiar with 3D or 4D technology with ultrasounds. 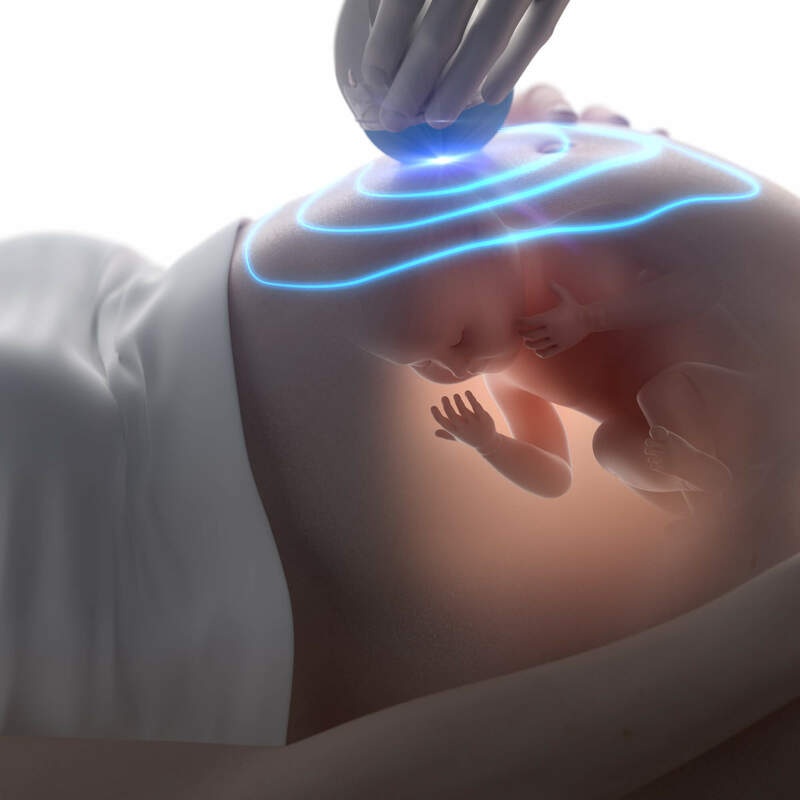 According to the Miami Center of Excellence, 3D and 4D scans are a useful way to give expectant parents more information about the fetus’ health. With the use of these advanced ultrasound options, doctors can evaluate the fetus’ development and size. They can make sure that the fetus is in the proper position for delivery. The placenta’s blood flow can even be observed. They provide doctors with many anatomical views. They provide better access to tricky body parts, such as ventricles of the heart. They allow doctors to check tumor volume and treatment monitoring. Doctors can see the body from different angles with 3D and 4D ultrasound. This means that they can better diagnose patients. It’s harder to overlook things with a more accurate ultrasound method. Overall, there are countless advantages of using 3D and 4D ultrasound technology. According to Layyous, this provides accurate information that is both qualitative and quantitative. What are the risks of 3D or 4D ultrasounds? These types of ultrasounds are actually very safe. There are a few concerns to be aware of though. You personally don’t have to do anything to prepare for these potential risks. Your doctor will know exactly how to handle this and what to look out for. The main concern is that 3D and 4D ultrasounds can increase the temperature of the scanned area. This can cause damage to the tissue of the area. Another concern is that a fetus could feel the heat coming from the probe. This, paired with the vibrations, can push the fetus away. This simply causes difficulties with looking at the fetus. Sometimes things can be confusing on a 3D or 4D ultrasound. This leads to seeing missing or duplicate body parts on the fetus. With the proper experience, this can be avoided by your doctor. Doctors can experience some difficulties when trying to view areas with dense bone. The same is true of body parts that hold air. This is because of the sound waves and their transmission. These risks are not usually a huge concern. The professional should be aware of the risks and ensure that everything goes smoothly. All of the necessary precautions should be taken by your doctor. If you have concerns, be sure to run them by your doctor before the ultrasound. They can explain the risks and help to reassure you. 3D and 4D ultrasounds have many important uses. There are lots of benefits to having a 3D or 4D ultrasound done instead of a 2D one. The greatest benefit that comes from using this technology is the accuracy of the information provided. Doctors are able to see much more with 3D and 4D than they are with 2D. This results in more accurate diagnosis and treatment for patients. I am a young professional with a bachelor's in journalism.